As smartphones get bigger, it looks like tablets are getting smaller. That is, if the Galaxy Note 8 is an indication of tablet trends. Following the success of the Google Nexus 7 and the recently-released iPad mini, Samsung has decided to join the ‘mini tablet’ (mablet, anyone?) 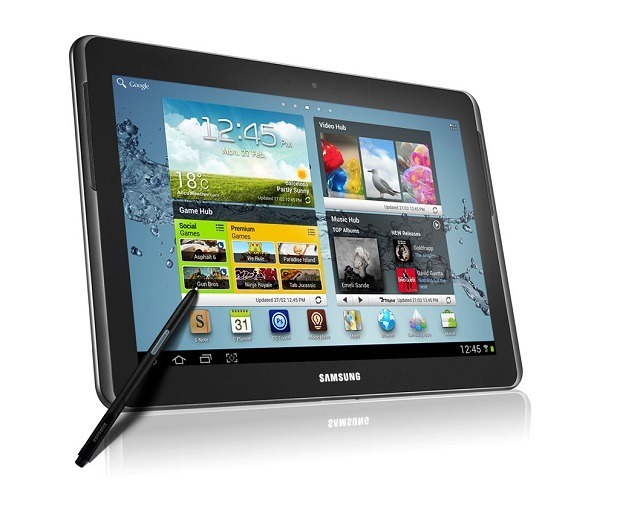 bandwagon by releasing their own version — an 8-inch tablet currently know as the Galaxy Note 8. Pricing for the device is still up in the air due to “conflicting reports,” with some sources saying that it will be in the “affordable” price range of $250 to $300 while other are saying that its more likely that it will cost around €450 to €550, depending on configuration. We think though that the latter is unlikely considering that similar offerings from their main competition, the Google Nexus 7 and the iPad mini, cost much less. The basic model of the iPad mini, for example, retails slightly above $300 and to price it much higher than that would be tantamount to Samsung shooting itself in the foot. The Mobile World Congress is still a few weeks away and we expect more details regarding the device to surface. Until then, be sure to check back for more news on the Galaxy Note 8. Would you choose a ‘correctly’ priced Galaxy Note 8 over the Google Nexus 7 and the iPad mini? Let us know in the comments below!